Event Ticketing Software: Is Your Software Secure? 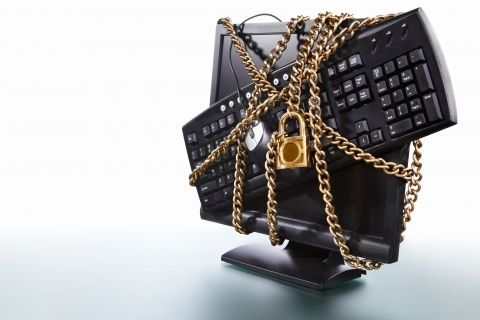 Is Your Event Ticketing Software Secure? Credit card companies are cracking down on businesses that aren’t taking proper precautions when it comes to the security of their customers’ information. The major credit card companies, including Visa and American Express, are pushing businesses to comply with Payment Card Industry Data Security Standard (or PCI DSS). This is a set of standards about security measures that need to be in place if you are going to accept credit card information through a website. Our event ticketing software is PCI DSS compliant and will help your business meet these minimum standards. Why Does PCI DSS Matter? When your customers transmit their information over the internet to pay for your events and attractions, they may be putting their data at risk without knowing it if your website isn’t secure. Hackers can steal their card information and use it to make purchases of their own or even for identity theft and other scams. Your business could be at fault if you didn’t take the proper security measures to keep hackers out and protect your customer’s’ information. What Happens if You Aren’t PCI DSS Compliant? Not only could your business be held liable for any fraudulent transactions, you could be fined as well. Some fines start at $10,000, an amount that could be devastating for a small business. It’s better to pay more for software and systems that are compliant and protect you and your customer’s information than risk paying fines later on. Virtual Ticketer has the security measures you need to ensure you are protecting your customer’s data. If you aren’t currently using PCI DSS-approved software (or aren’t sure) it’s time to invest in cyber security for your business. Contact us today to get started with our event ticketing software.